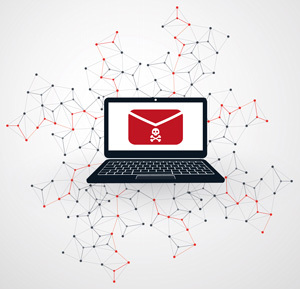 In a recent study, 10 percent of simulated phishing e-mails sent to users in education institutions were successful, triggering the recipient to click on a fraudulent link. That's according to the 2018 State of the Phish report from Wombat Security Technologies, in which researchers measured the average click rates on phishing tests across various industries. Education had an average click rate of 10 percent; the industries that performed worst in the tests were telecommunications and retail, with 15 percent and 14 percent average click rates, respectively. A third-party survey of about 3,000 technology users in the United States, United Kingdom and Germany. 61 percent of users in the U.S. could correctly define what phishing is, while just 46 percent knew what ransomware is. The report also pointed to one area where awareness is particularly low among U.S., U.K. and German adults: "smishing," or SMS/text message phishing. Just 16 percent of survey participants could correctly define smishing, while 67 percent couldn't even venture a guess. "Smishing (SMS/text message phishing) has generally been considered a regional, consumer-based threat as opposed to a global cybersecurity concern," the report noted. "However, media coverage of successful smishing attacks rose during 2017 — a trend that's sure to increase in 2018 given that awareness of this threat vector is low." The full report is available on the Wombat site (registration required).